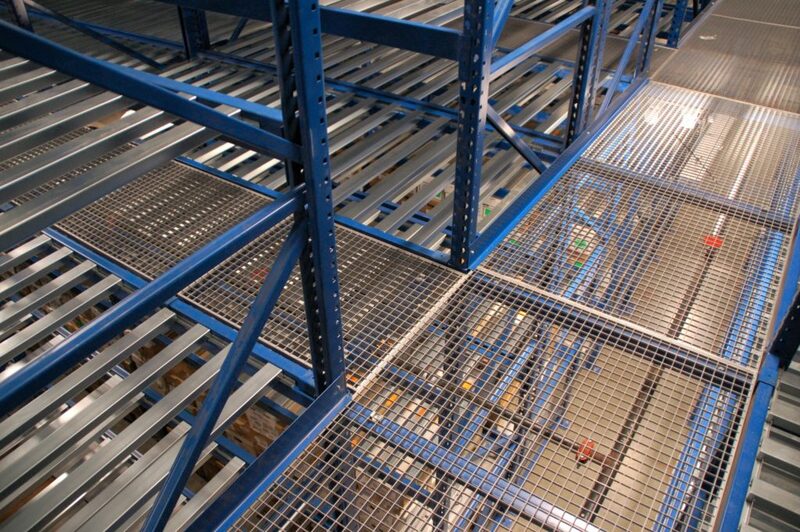 Gravity flow racks like conveyors and shelving are a handy, modern way to quickly move products through the warehouse—but what if you have to move people through the office? Gravity conveyors, pallet tracks, and the like offer easier transport and storage of bulky goods than ever before, but they can cause a lot of traffic jams without careful planning as to where they go and how they may impede foot traffic and the movement of forklifts. Long, uncrossable lines of conveyor aren’t an ideal situation, as they can create congestion and lost productivity at best and massive safety hazards at worst. Luckily, with a little clever thinking and some careful planning of where your warehouse installations go, you can get around these issues a little more easily and keep things moving smoothly through your warehouse. One of the first and most immediate solutions is to set the conveyors up high using an overpass. By installing risers and taller ‘legs’ underneath your conveyors, you can allow your employees and traffic to pass underneath the conveyors unimpeded and keep things moving. This solution is perfect for warehouses that use pushcarts and/or need to allow for easy wheelchair access, and it avoids interrupting product flow as items move throughout the warehouse. The drawback, however, is that this solution requires a lot of space and may not be compatible with all types of conveyors, so you should do a lot of measurement and space review before committing to this option. On the other hand, instead of raising the conveyors, what a lot of warehouses do is create walkways across the area where the conveyor already sits. By using warehouse mezzanines or catwalks to create overhangs that lead across where the conveyors sit, you can create a safe way for your workers to walk over the areas with conveyors. This has the combined benefits of reducing traffic flow, providing extra workspace for overflow storage or office work, and may be easier to install than the risers from the previous example, but in a lot of cases this might not be a viable option if you need space for larger vehicles or if you don’t have enough headroom. If you need a more ground-based solution, many gravity flow conveyors can be designed with custom gates for passage through the conveyor without needing to go around or over it. These gates temporarily interrupt the flow of packages, but may be the safest and least obtrusive option for movement around conveyors. The drawback is that it may slow the movement of inventory throughout the warehouse, especially in higher-traffic areas with a lot of traffic cutting across. This slowdown can be increased by the need for heavy machinery and forklifts to pass through, so it may not be the best option for conveyors that carry needed product to vital areas, but if your warehouse can handle the occasional slowdown then the gates may be the easiest and most versatile option. By figuring out which conveyor movement option is right for you, you can save your warehouse and your staff a lot of time and energy in figuring out how to move around these installations without missing out on productivity or package output.